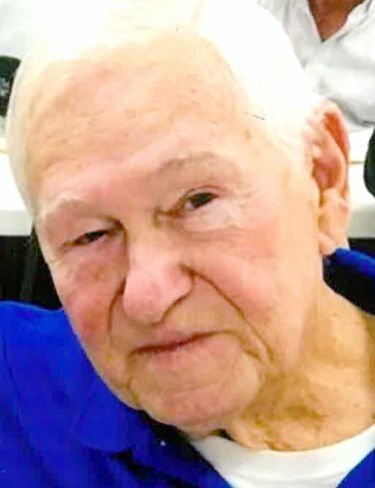 Clarence I. Rider Sr. RUTLAND — Clarence Irwin Rider Sr., son of Elmer Elija Rider and Anna Elizabeth (Jordan) Rider, born October 25, 1935 in Benson, Vermont, passed away February 9, 2019 at his winter home in Ormand By The Sea, Florida after a brief illness. Clarence attended Rutland High School where he played football and graduated in 1954. Clarence joined the Army Reserves and served for 6 years as a supply sergeant, while attending trade school. Clarence continued his career as a tool and die maker for 45 years before retiring. Clarence stayed active after retirement, with interests such as hunting, golfing and wintering in Florida. Clarence was predeceased by Patricia Rider, mother of his children; by his parents and several brothers and sisters. He is survived by sister Bernice Carroll of West Rutland; 14 children, Clarence Rider Jr., Jeff Rider, Deb Sheldon, Craig Rider, Carl Rider, Denise Tarbell, Sharon Wedin, Shelley Decato, Rick Rider, Kevin Rider, Sherry Rider, Deanna Rider, Dana Rider and Patrick Rider. Clarence is also survived by his long time life partner Maryann Fitzgerald. A service will be held, June 1, 2019, at 11:00 a.m., at the Fairview Cemetery in Benson. A Celebration of Life will follow at 1:30 p.m. at 25 Park St., Proctor, VT.